Muscle is a saft tishie found in maist animals. Muscle cells contain protein filaments o actin an myosin that slide past ane anither, producin a contraction that chynges baith the lenth an the shape o the cell. 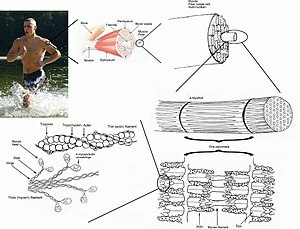 Muscles function tae produce force an motion.